What a “mesh” generally means is a rich interconnection of devices and nodes that can help establish connection of varied long ranges. Based on these terms, a lot of nodes can come together to create a really wide network, culminating in this thing called a “mesh cloud”. This “cloud” of connectivity opens a whole spectrum of possibilities toward maintaining a strong, unwavering, and a failsafe network that a lot of people can dwell in and use. The same way, a Mesh Wi-Fi system is one wherein a connectivity cloud is formed, and hence where strong signals are a given, and linearly guaranteed. The Mesh Wi-Fi system began as a particular fix to a common problem that’s encountered all over. Have you ever been in a situation where you are in a dead-spot – where the Wi-Fi signals simply wouldn’t reach? Well, Mesh Wi-Fi is the answer. A Mesh Wi-Fi system uses two or more wireless receivers that are connected with each other, and hence can relay the information throughout your workspace. Although any Mesh system works the same as using a lot of Wi-Fi extenders to create a network, they are remarkably easier to set up and use. Besides, if there are actually Wi-Fi extenders to take into account, by the usage of a mesh system, the control is contrastingly made easier. This is a perk that solely comes with the fact that a mesh network can communicate with any number of individual nodes or units, while a normal router fails terribly at that. A mesh network specifically helps you if you have such a large house – more than 3,000 square feet – throughout which you plan to provide a secure internet connection. Among the features provided by a mesh system, one of the most important is that a mesh can be easily handled. There are applications to remotely control the device, and can even be controlled while in office, or at a completely different location. The difference does not lie in any stereotype such that the conventional routers cannot create an independent network cloud of their own. Because they can. But what often remains the problem is that routers can create only a network cloud where each router is completely independent from the other. This can cause tedious problems for the user, where he may be required to connect to each node every time he exits the bounds of the last node. This is where most users can relate to the benefits of having a mesh network, where the network cloud created will provide uninterrupted connectivity to all those within those bounds. This can come handy in a whole lot of places, including government and private sectors, in organizations that require an extensive usage of network, and even for personal usage. The main drawbacks, whatsoever, of mesh networks are that they are predominantly costly, and come in a wide range of costs: standard costs at $500, with additional units for $200. Google Wi-Fi: Made with best-looking designs, the Google Wi-Fi comes with three satellites (called Wi-Fi points), and each being able to cover a distance of about 1,500 square feet. Netgear Orbi High-Performance AC3000: This is often said as the best that therein is. It offers a total of about 5,000 square feet of coverage. It can provide lightning-fast networking speeds between each of its satellites. Ubiquiti AmpliFi HD (High-Density) Home Wi-Fi System: This is the best mesh wireless system that’s available for personal usage. The design is made to provide connections throughout a really big house, through hard walls and such. The connectivity here is up to a whopping 20,000 square feet. Securifi Almond 3: This is the only mesh networking system that’s available for a really low cost – it retails at about a $130. The main feature of this is that it can work along with other home automation devices such as Alexa. A mesh networking system is the only solution available to networks that “die” in some regions. This simple problem can be solved by choosing a best mesh wireless system over the conventional router. Although the cost is quite high, this device will own up to your money, and will help keep you in an environment where you don’t run out of connectivity. 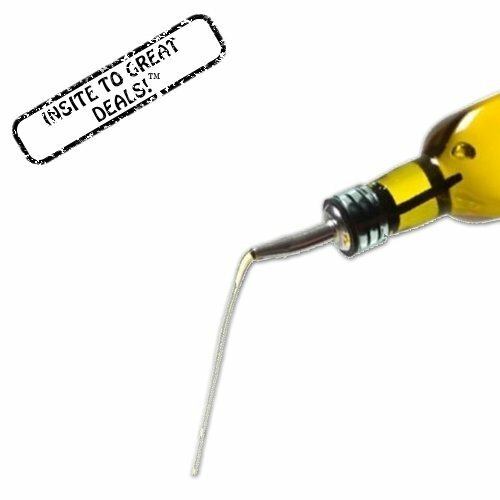 Get a mess free cooking time with the help of oil bottle stoppers!